Among New York City’s most appealing offerings is its dining scene. 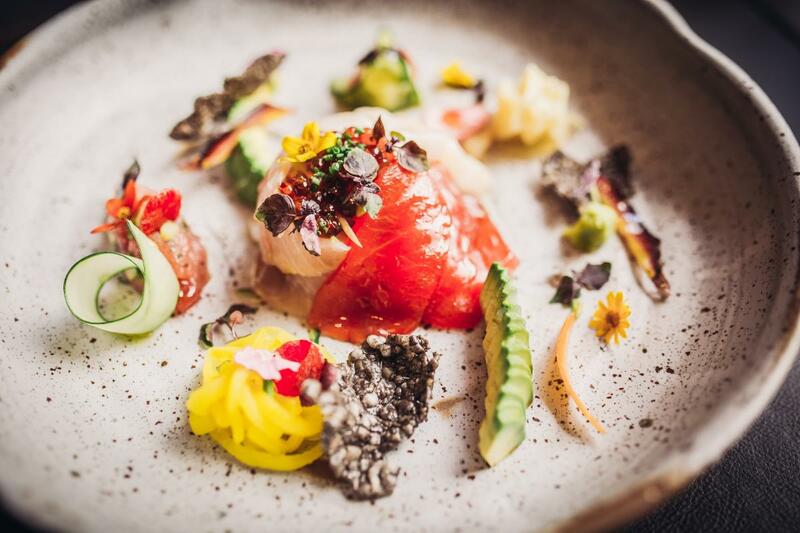 The five boroughs are home to some 24,000 restaurants that serve up cuisines from around the world, including Michelin-starred eateries and kitchens helmed by celebrity chefs. (This is a town that treats its culinary artists like rock stars.) If you want to help your clients plan a special night out, here is a selection of restaurants where they might spot a famous face or two in the kitchen. Augustine. Photo by Michael Grimm. The New York Times dubbed Keith McNally “The Restaurateur Who Invented Downtown” because of the success of the chef’s many Lower Manhattan hot spots, which include Minetta Tavern and Balthazar. His latest venture is Augustine, located in the new Beekman Hotel in Lower Manhattan. The French brasserie offers up entrées like duck à l’orange made with Grand Marnier and a burger topped with single-malt-Scotch-braised onions and Comté cheese, as well as weekly specials. Cut by Wolfgang Puck. Photo by Antonio Diaz. World-renowned chef Wolfgang Puck has opened Cut, his first-ever restaurant in New York City. The new steakhouse, located in the Four Seasons Hotel New York Downtown in Lower Manhattan, offers up savory cuts of USDA prime and Japanese Wagyu beef that are first grilled over wood and then finished in a 1,200-degree broiler, as well as an array of seafood and sides. Puck’s first Cut steakhouse opened in Los Angeles in 2006, and the concept soon spread to Las Vegas, London, Singapore and Bahrain. Ignacio Mattos and Thomas Carter—responsible for the stellar Estela, where the Obamas dined during a 2014 visit to New York City—are behind Flora, a fine-dining restaurant and café at the Met Breuer, the contemporary art museum that is the newest addition to the Metropolitan Museum of Art family. Flora Bar offers a small-plates menu with dishes like Osetra caviar with crème fraîche and rye crackers and lobster- and-crab dumplings in a yuzu broth. Flora Coffee serves a selection of pastries, salads and sandwiches. The café’s sticky buns were named a contender for best in the City by the New York Times. Tom Colicchio, Top Chef’s toughest judge, founded the legendary Gramercy Tavern in 1994 and has received a total of five James Beard awards during his career. Temple Court, his newest restaurant, focuses on seasonal American cuisine—entrées include diver scallops with Jerusalem artichokes and guinea hen with black trumpet mushrooms and delicata squash. The restaurant also offers a five-course tasting menu. Harold Moore, a frequent guest on CBS’s The Dish and the Esquire Network’s Knife Fight, trained under noted chef Daniel Boulud. At Harold’s, his new casual restaurant in the Arlo Soho, diners choose a main course—a cheeseburger, a single- or double-cut of prime rib, or grilled sea bass, to name only a few—and three sides. Prices range from $25 to $46, and the restaurant offers daily specials. Leuca. Photo by Noah Fecks. Italian-American chef Andrew Carmellini expands his empire into Brooklyn. 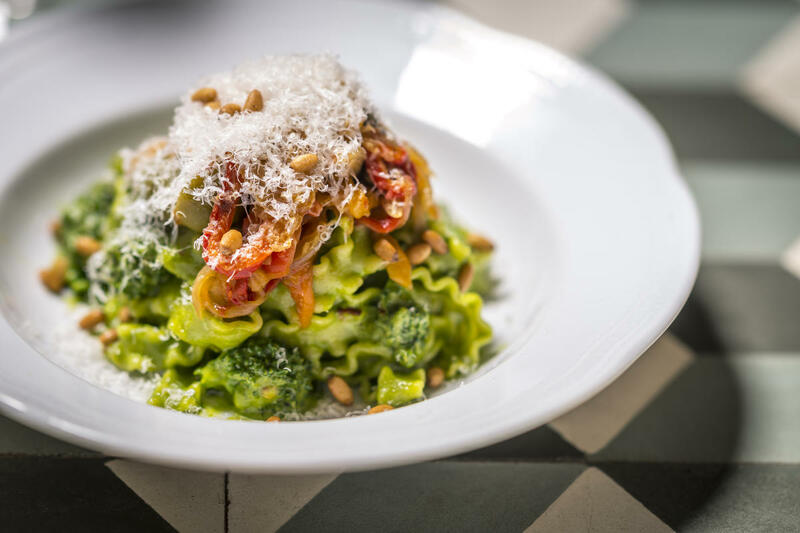 The chef behind such Manhattan favorites as Bar Primi and Locanda Verde has opened two restaurants at the William Vale, a new hotel in Williamsburg, Brooklyn. 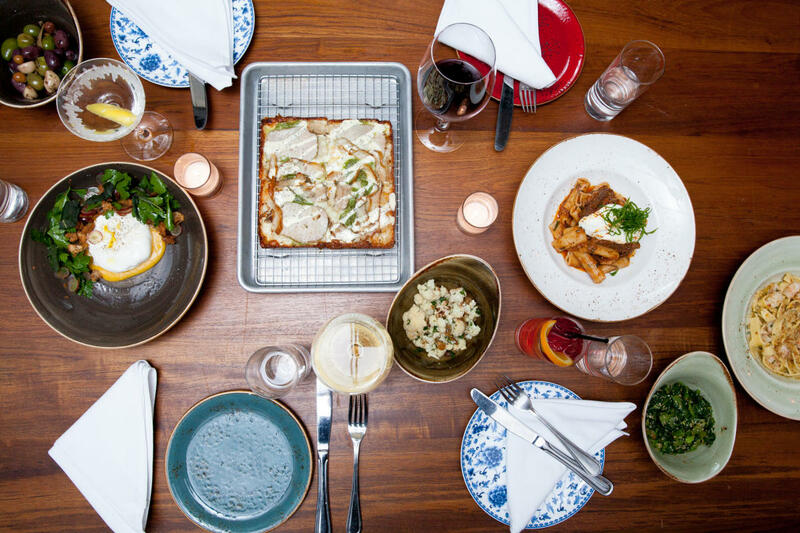 Elegant Leuca features a Southern Italian menu that includes house-made pastas and three kinds of Neapolitan-style pizza. Massoni. Photo by Alyssa Blumstein. Dale Talde, a veteran of Top Chef: Chicago and Top Chef: All Stars, recently opened Massoni, his second restaurant in the City. The menu offers both traditional Italian fare and more inventive dishes, like octopus puttanesca and pizzas topped with charred Brussels sprouts or clams and potatoes. Located inside the Arlo Hotel NoMad, Massoni has a casual atmosphere, with murals painted over exposed brick and a collage of magazine covers and newspaper clippings covering one wall. Michelin-starred chef and Iron Chef America champion April Bloomfield’s latest NYC venture is a combination restaurant and whole-animal butcher shop. In addition to providing cuts of meat for the dine-in crowd, White Gold supplies Bloomfield’s other restaurants in the City—the Breslin, Salvation Taco and the Spotted Pig. These are only a few of New York City’s many fantastic restaurants. 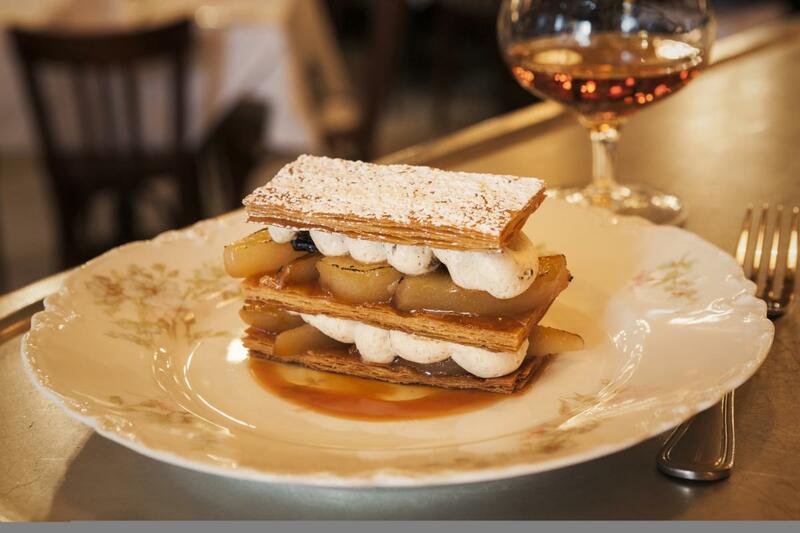 For more information on dining in New York City, see our comprehensive guide.